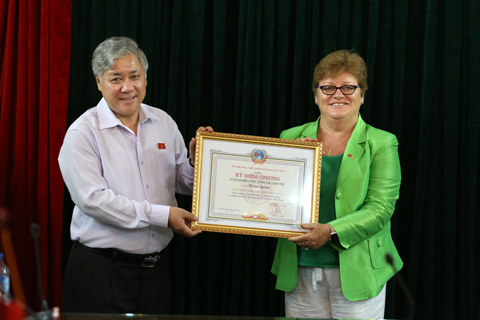 Morning July of 26th, at the headquarters of the State Committee Ethnic Minority Affairs, Minister Do Van Chien awarded the medal "For the development of Vietnamese Ethnic Minorities" for Fiona Quinn, Deputy Head of Development of the Irish Embassy in Vietnam because of her contribution to the socio-economic development in ethnic minority peoples in Vietnam. Attending the ceremony were the leaders of some departments and units of CEMA; advisers, experts from the Irish Embassy in Vietnam. Speaking at the ceremony, Minister, Chairman Do Van Chien acknowledged and appreciated the contribution of Mrs Fiona Quinn during her working-time in Vietnam, the Minister emphasized the dedication of particular Fiona Quinn and the Embassy of Ireland in Vietnam in general,it has contributed to the socio-economic development , improved the quality people’s life of ethnic minorities in Vietnam. At the ceremony, Mrs. Fiona Quinn expressed her pleasure and thanksto CEMAawarded a medal for her performance, this is not only her own honor but also a collective of Embassy Ireland in Vietnam. Mrs Fiona Quinn also congratulated the achievements that CEMA has achieved. In the recent years, the Irish Embassy and CEMA have coordinated closely, successfully to complete the requirements and tasks assigned. Mrs Fiona Quinn is desirable that in the forthcoming future, the two sides will strengthen cooperation relations further, and will organize fiels trips toymaster further the implementation of the capital support as well as the effect that the programmes or projects have brought to the ethnic minority regions. 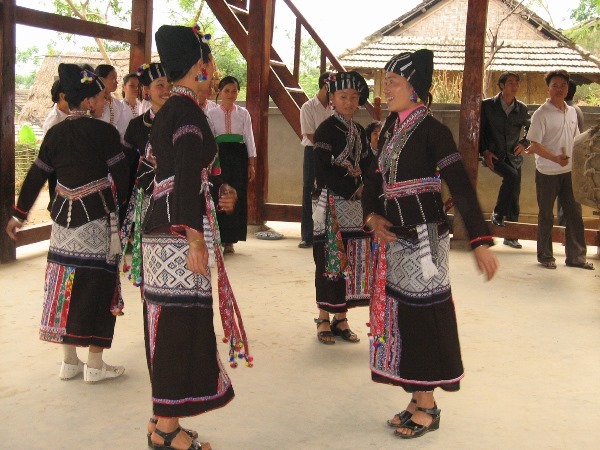 Earlier, the two parties had a meeting for some contents related to funding by the Government of Ireland financed through programs and projects for Vietnamese Ethnic Minorities in the recent years, the difficulties and obstacles encountered during implementation. 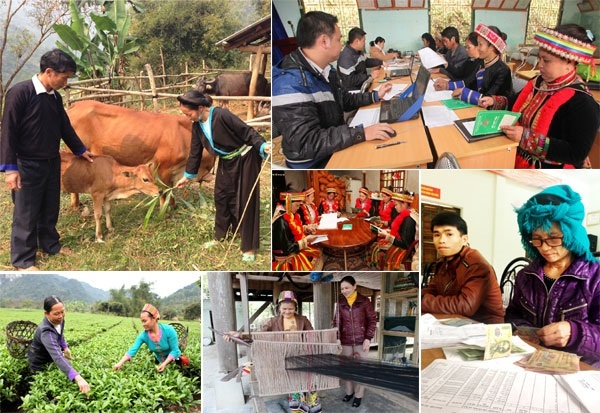 Representatives of Programme 135 office, Department of Ethnic Policy, financial advisors of Irish Embassy in Vietnam have reported the implementation of programs and projects supported by the Irish Government in the recent years, through auditing the implemmentation offunds in remote communes under Programme 135. 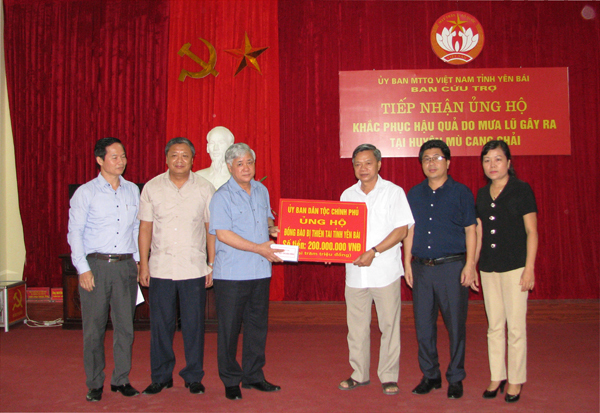 Minister,Chairman Do Van Chien expressed his pleasure that the Embassy of Ireland in Vietnam continue to define CEMA as a monitoring center, receiving funds support from international organizations to support minority ethnic regions in order to solve difficult problems. Minister-Chairman will be committed toabsorb opinions and proposals of the Embassy of Ireland in order to operate effectively the funds and strengthen the information exchange between the two parties to resolve unexpected issues. In the next periods, the Minister wishes that Irish Embassy and international organizations by the support projects for Ethnic Minorities will continue to credit CEMA as the monitoring center. CEMA will give out criteria and selected areas, problems in need of support with the efficient usage of funds.